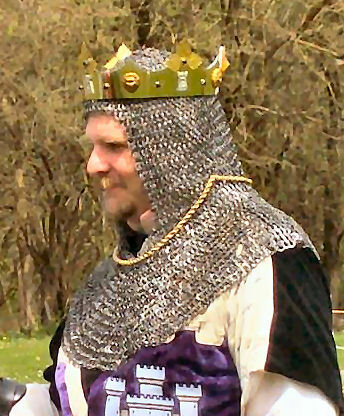 A common thread among SCA members is our fascination with the idea of Knighthood. Many of us got our first taste of the medieval world reading about King Arthur and the Knights of the Round Table, or the exploits of Richard the Lionheart, or maybe the tragic but noble self-sacrifice of the Song of Roland. Even the least martial among us has probably thought about what it means to be a knight. 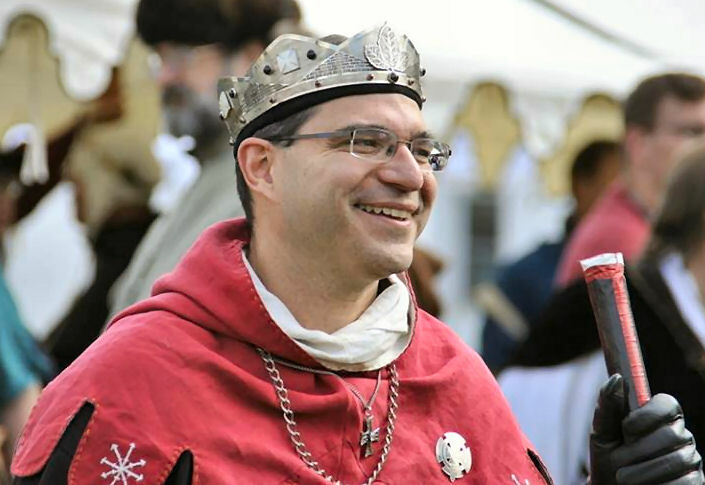 Mistress Arianna of Wynthrope interviewed several members of Æthelmearc’s Order of Chivalry to find out how they view their role as Knights of the Society. When asked what being a knight meant to them, many of the knights of Æthelmearc referenced the Chivalric Virtues. Curiously, there is no real agreement, even in the scholarly world, as to what those virtues are. It might be agreed that these virtues can be used to describe a person who is good and noble. 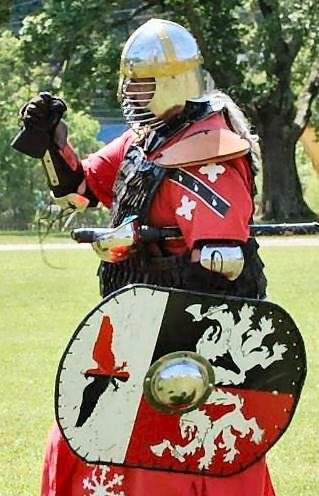 But beyond that, what does it mean to be a knight in the SCA, where our Chivalry are not called upon to literally spill their blood in defense of the realm? Duke Malcolm Duncan MacEoghainn, photo by Baroness Ekaterina Volkova. Duke Maynard von dem Steine. Photo by Baron Steffan Wolfgang von Ravensburg. There are, seemingly, as many opinions about what it takes to become a member of the Chivalry as there are knights and masters at arms. Interestingly, none of the Chivalry interviewed talked about technique or even general skill level. Instead, their emphasis was on commitment to fighting, but also on participating in all aspects of the Society. 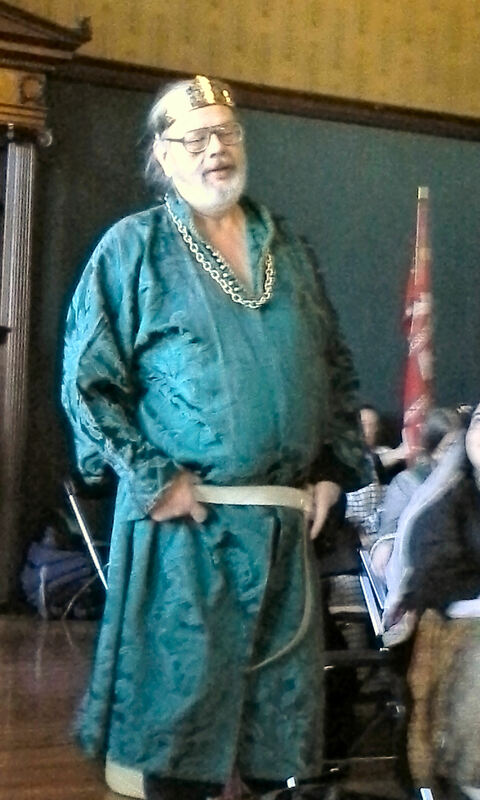 Viscount Bear the Wallsbane, photo by Mistress Arianna of Wynthrope. 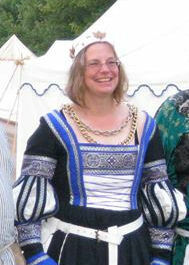 Duchess Rowan de la Garnison, photo by Lord István Nyiregyhaz. Duke Eliahu ben Itzhak, photo by Lady Dianimh Ban. Sir Thorgrim Skullsplitter. Photo courtesy of Sir Thorgrim. Once you do receive the accolade, the journey continues with new responsibilities. 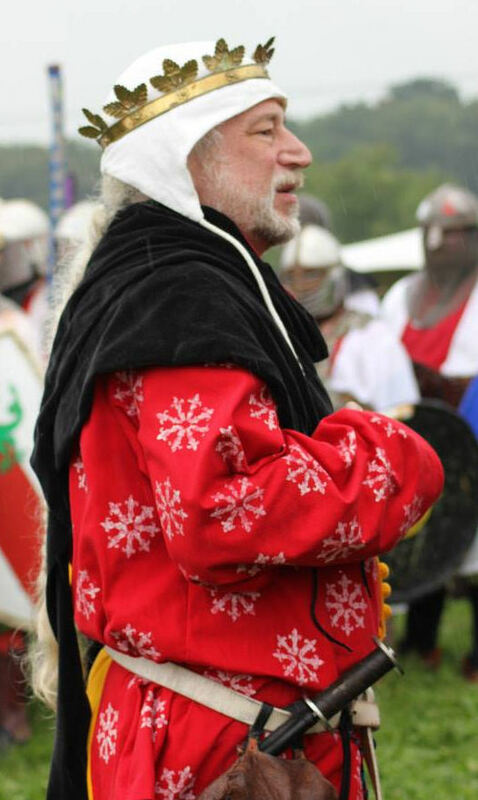 Sir Mord Hrutson the Green, photo by Baron William Widefarer (Les Berkley). Duke Eliahu recounted how he realized 15 years ago that his fighting style had not kept pace with developments in the field. After some consideration, he went to some of the best technical fighters he knew and asked them to help him start over. “I worked with Duke Ragnvaldr and Duke Brannos (of the Midrealm) to relearn how to fight. They taught me how to stand, move, breathe, throw blows, everything. I practiced once or twice per week plus some pell work to make the new style automatic. 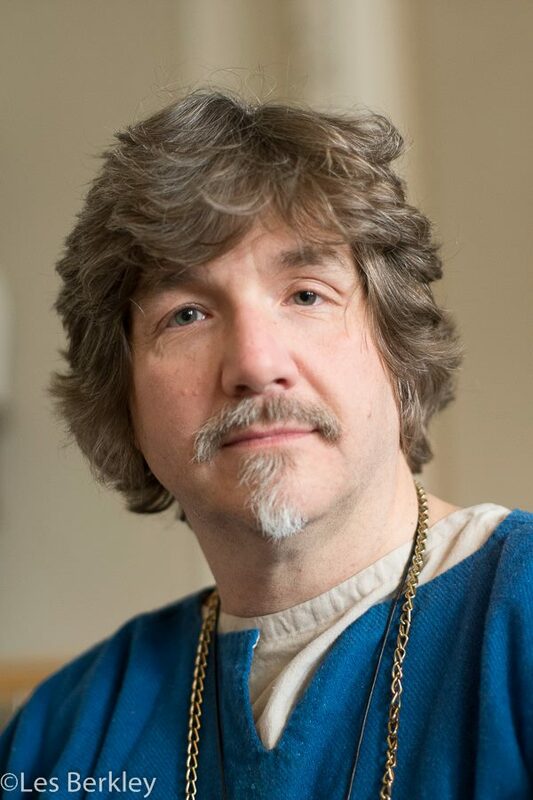 If I hadn’t done that, I would no longer have been on the path, I would have been sitting down on the path.” Eliahu says he also organized what he learned from them into a teaching methodology so he could pass it along to others. “It was frustrating sometimes, but also exciting because at every practice I was learning something new,” His Grace said.